14 Jan 2019 --- The “Veganuary” campaign, which runs throughout the month of January, is attracting more people into following a vegan lifestyle or simply cutting down on their meat intake in favor of plant-based alternatives. No longer considered just a “side dish,” vegetables are well and truly at the center of the plate. That is definitely the case for London-based vegan burger chain and start-up The Vurger Co., which now runs two restaurants in the cosmopolitan capital. 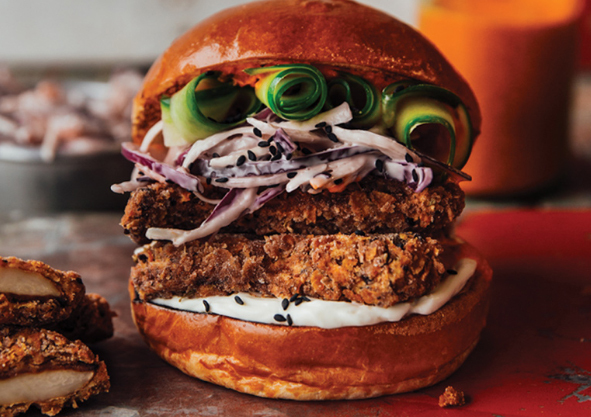 With its vast plant-based menu focused on burgers, fries, mac ‘n’ cheese and vegan milkshakes, the company is poised to strengthen the profile of vegetables even further. FoodIngredientsFirst spoke with Co-Founder and CEO Rachel Hugh who explained how the start-up came about and how it has evolved since receiving crowdfunding back in 2017. FoodIngredientsFirst: As a start-up, what were the driving forces behind The Vurger Co? Hugh: Our idea was pretty innovative at the time. The whole reason we started our business was that there just wasn't anyone else in this space in London and it all started from a pretty personal place. 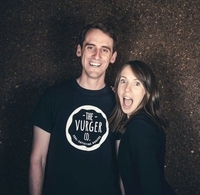 Neil, The Vurger Co Co-Founder, had suffered from a debilitating stomach illness for around ten years. Having had so many tests, a series of different medications and many appointments it got to the point where he was advised to have an operation. It coincided with taking a trip to California, we couldn’t believe how well Americans were eating plant-based foods – without any labels or stigma attached, amazing flavors, texture and people who were using vegetables in innovative ways. We felt better than ever, returned to London figuring out how to adopt this lifestyle in the UK and we haven’t looked back since. When we returned to London, we started looking for a place to eat a plant-based burger casually, in a nice environment, just to chill out after work together. But we couldn’t quite find what we were looking for. Click to EnlargeThere were many vegetarian options on the market. However, we got tired of asking, “please remove the cheese and the egg-based mayo and the patty with egg…” nobody in London understood what vegan living was. We felt ostracized for eating this way. Despite being such a progressive city, we couldn’t understand why Londoners who chose to eat this way couldn’t find a nice environment to feel at home. It was a lightbulb moment for us and we thought if we’re looking for a restaurant like this, we can guarantee that others were too. This was in June 2016 and it set the wheels in motion to start our business. FoodIngredientsFirst: What have been some of the challenges you have faced since setting up and how did you overcome them? Hugh: There are continuous challenges as this type of business moves so quickly and you have to keep pace with it on a daily basis. • Funding is the major problem for start-up restaurants. • Finding affordable property in London is extremely difficult. • Getting the business out there in an increasingly competitive space. We raised a crowdfunding campaign on Crowdcube.com to launch our first restaurant. We were lucky in the sense that we were the first to put ourselves out there with the goal of opening a vegan restaurant in London and raise money for it – which back in 2017 was unheard of. FoodIngredientsFirst: How much did you raise? Hugh: We were initially seeking £150,000, however, within 24 hours we had reached our target, so increased our limit to £300,000 and reached that within another day. FoodIngredientsFirst: Will you be expanding globally or focusing on a specific region or country? Hugh: We have plans to expand. We have fans all across the world thanks to social media and in 2018 we traded in the US which went really well, so it’s definitely a route we’d be interested in taking. Hugh: When we began, there wasn’t really a space to talk about; it was so buoyant in the US that we couldn’t believe London was light years behind. This was the whole reason of us to starting our business because we couldn’t find what we were looking for. Naturally, when you put yourself out there, others follow, so it’s definitely an area where larger brands are now spending their marketing budgets to capture a part of the “vegan pound” which is exciting and frustrating in equal measure. FoodIngredientsFirst: What are your thoughts on UK campaigns such as Veganuary and do you support this? Hugh: Absolutely, we fully support any campaign that aids people to see all amazing vegan options in the marketplace. We encourage those to broaden their horizons and support them through that time, it is only ever a good thing. Plus Veganuary has now gained in popularity allowing for significantly increased press coverage of vegan food options in the marketplace which definitely wouldn't have been before. FoodIngredientsFirst: What products have you launched and what has the response been so far? 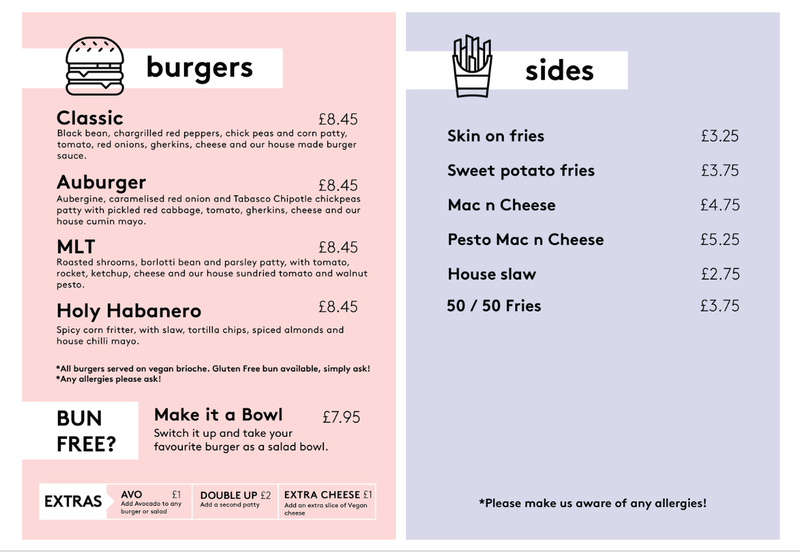 Hugh: Our 100 percent natural plant-based menu focuses on vegan burgers, fries, mac ‘n’ cheese, shakes, etc. – with a significant focus on making vegetables the center of the plate. As a result of Neil’s health issues in the very beginning, he couldn’t eat a lot of gluten, so that immediately put fake meats and meat substitutes out of the window. So we focused on natural vegetable-based patties that didn’t pretend to be anything that they’re not. We have expanded to two permanent restaurant sites in the space of nine months, seen over 30 thousand individual guests walk through the door in Shoreditch (North East London) alone in the amount of time and we have seen record-breaking sales at our new Canary Wharf (East London) site, in London, which is just phenomenal. FoodIngredientsFirst: In terms of innovation, what are you offering that hasn’t been done before? Hugh: When we started, things like vegan shakes and vegan mac ‘n’ cheese were simply unheard of in a relaxed restaurant environment. We offer an entirely vegan fast food menu in a cool and accessible environment. When we began, nobody was focusing on natural patties that were not trying to replicate meat in any shape or form and ours are simply celebrating vegetables. FoodIngredientsFirst: What are you seeing a demand for from your customers? Click to EnlargeThe Vurger Co menuHugh: Our customers adore our menu; they are always pushing us to innovate as they love the way we don’t focus on replicating anything else. We have created our own version of a Kentucky burger with the help of our Executive Chef Gaz Oakley, using King Oyster Mushrooms. We had pushed the boundaries by creating the first vegan mac ‘n’ cheese in a restaurant when we began our pop-ups in 2016. We now have a full menu board dedicated to vegan shakes when we only began with three – they are that popular. FoodIngredientsFirst: How have you come up with the recipes? Hugh: Initially it was just myself and Neil in the kitchen at the very beginning on our market stall, pop-ups and events, we then had help from chef Andrew Dargue. We now work with talented chef Gaz Oakley, who creates the most wonderful vegan dishes. He really helps push our menu forward, be super innovative and push the boundaries of vegan fast food. FoodIngredientsFirst: Why is this a competitive space and why is this the right time for The Vurger Company to be making moves in this space? Hugh: Without blowing our own trumpet, the whole reason for our business coming into existence, was because there simply wasn’t anything in this space doing what we were doing in London back in 2016. So for us, as much as many large corporations, or similar business follow behind, we have to make sure that our business keeps innovating and growing and we have so many exciting things in the pipeline.